Now let’s discuss Alex Turcotte. Powerful center with excellent playmaking abilities and game-changing speed who has the potential to become a top-line pivot in the NHL. Turcotte, who’s father Alfie was a first-round pick of the Montreal Canadiens in 1983, was a key contributor for both the NTDP’s under-17 and under-18 programs, including a midseason promotion to the latter where he produced 16 points in 19 games in a limited role. Turcotte is a low-maintenance center in that he can excel in both optimal and non-optimal conditions, plus handle physicality better than most offensive forwards. He is a fast, agile skater with a wide, powerful stride and the balance of a seasoned NHL power forward. Getting knocked off the puck while he’s either static or moving is something you rarely see. Turcotte is an excellent skater. He has a long and powerful stride that makes it very difficult to knock him off the puck. Turcotte is exceptionally quick, he has a very good first step and excellent acceleration. His top-end speed is also very good and just a notch below being great. Once he gets a step on a defender, he can take the puck to the net. That may even improve as he continues to recover from the lower body injury that plagued him early in the season. On top of all that is the fact that Turcotte has a non-stop motor. He is always moving his feet, which keeps him one step ahead of his opponents. Turcotte controls the play down low, extending the possession and waiting for teammates to get open. When there is an opportunity, he can make a tough pass through tight spaces. Turcotte also has an excellent wrist shot and a quick release. His snapshot and slap shot are also very good. Turcotte has the soft hands to score goals in tight to the net. He is not afraid to take the punishment in front of the net and has the hand-eye coordination to get tip-ins and pounce on rebounds. Alex Turcotte is relentless in his play, forechecking hard and causing turnovers in the offensive zone. He is a real thorn in the side of opponents. He also has plenty of skill, with his ability to control the puck and make plays while skating at top speed a real asset to his game. Turcotte could use some improvement making quick moves and changing the angles to open up passing lanes and find open teammates. He is a smart player who reads the play well and keeps the puck moving effectively but often is forced into taking a safe pass instead of creating a great scoring chance. Alex Turcotte is excellent in the defensive zone. He reads the play well and keeps himself between his man and the front of the net. Turcotte uses an active stick to poke check opponents as well as to intercept passes. He is extremely effective on the penalty kill. He quickly transitions turnovers to offence. Turcotte is not a big hitter, but he is not afraid to take a hit to make a play. He is also relentless in getting after the puck and getting in the mix in the dirty areas of the ice. Despite the lack of really big hits, he is always in the face of his opponents. Turcotte’s non-stop motor and offensive skills make him a prospect who can play in any situation and fill any role. He may need some time before he is NHL ready but will get plenty of time to bulk up while playing in the NCAA. With a few small improvements, Turcotte could become a number one centre in time. Even if he never reaches that ceiling and becomes an effective two-way second line centre, he will still be a coach’s favourite due to his defensive game and relentless energy. His game is reminiscent of Ryan O’Reilly, but this is a style comparison and not one based on skill or ability. Lots of potential but probably most development needed to be Nhl ready of the options, that extra risk may factor in, but then again Bowman likes smaller skilled players and local too boot. Time will tell what their conclusion of best player means. The kid is also from the Chicago area. Actually my neck of the woods. The Hawks have shown a propensity to drafting Chicago area kids in the past. What I like about Turcotte is the lack of questionable marks against him. Until they shipped them all out. It became too much of a clubhouse with the Chi born players. Its okay to have one tho’. I think it’s a misconception to think of Turcotte as “small”. He’s not tall, but he’s thick. 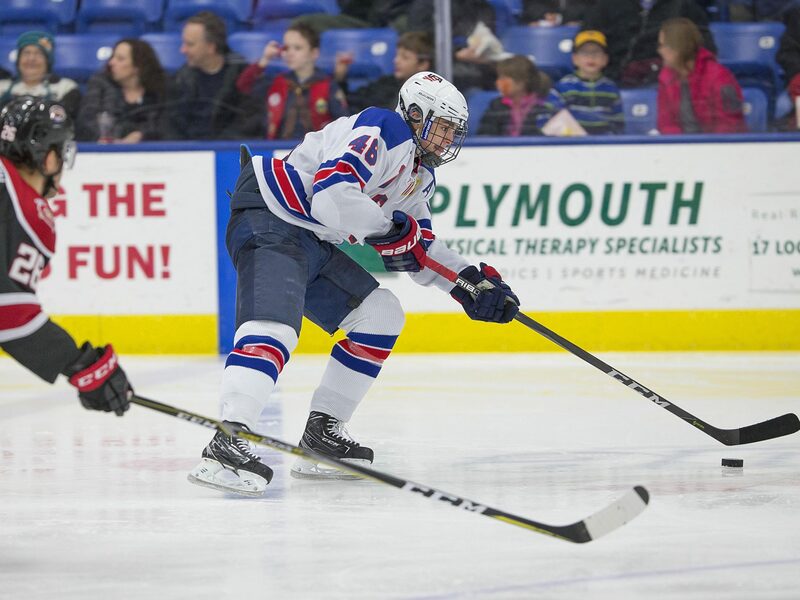 The only reservation I have about him is that he’s going to play NCAA which brings with it the possibility of pulling a “Kevin Hayes” – albeit a remote possibility, it’s still a factor. I’ve flipped back and forth on whether I prefer Cozens or Turcotte so I call them 1A and 1B for me. If I had to pick one today I would probably choose Cozens because he’s 6’3″ and will probably fill out with another 15-20 pounds in a few years and be more of the prototypical 1C right about the time Toews will be taking more of a reduced role. Question: Is the majority opinion of those on this board that whoever is picked by the Blackhawks will likely require a year or two in college or the minors? I ask because (a) I don’t know anything about the guys in amateur hockey and (b) wonder if people think that Bowman will pick to try and get someone to help the big club sooner or later? 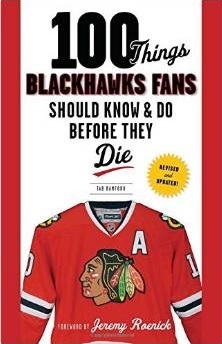 We all know that the Blackhawks need immediate help. However, it looks like the guy that is rated as having the best chance to play in the NHL now is the Russian. And it looks like his entry status into the NHL may be questionable. If Pod is not coming here next year, I think Cozens is the right choice. As ER states, he has more size than Turcotte and his skill-set is comparable. As I stated in my post a few hours ago under the Dach string, there is risk with Turcotte and Zegras committing to colleges. The draft is two months away and changes in scout rankings can change. One thing you can bet on is that there may be surprises with the order the following Cs are taken: Cozens, Dach, Turcotte, Zegras, and Krebs. It comes down to who clubs believe has the higher ceiling, how much development is needed, the risk of losing a college player, and being a good fit for their style of play. The draft is two months away and scout rankings may change. One thing you can bet on is that there will be surprises with the order the following Cs are taken: Cozens, Dach, Turcotte, Zegras, and Krebs. It comes down to who clubs believe has the higher ceiling, how much development is needed, the risk of losing a college player, and being a good fit for their style of play. I hope the Hawks don’t reach for Turcotte at three. I think there are less risky higher reward selections than him at three. Unless there is a compelling reason for selecting him above the others Tab highlighted, I think the Hawks should pass on Turcotte at three. If they are targeting him, perhaps trading down may be in order rather than targeting him at three. Big Indian, other than Hughes and Kakko, who are expected to play in the NHL next season, the experts think the other top-10 guys will need development time before they are ready to play in the NHL, so it’s hard to know which guys need only 1 year or more. Obviously we hope sooner than later. I think the ideal situation would be for the Hawks to draft Cozens and let him play one more year in Jrs then have him replace Anisimov at 3C in the 2020/21 season. Have him play 3C for a couple seasons and get prepared to take over 1C when Toews is winding down to a more reduced role. If you want to see some of these prospects play – google the 2019 Cherry/Orr prospects game. 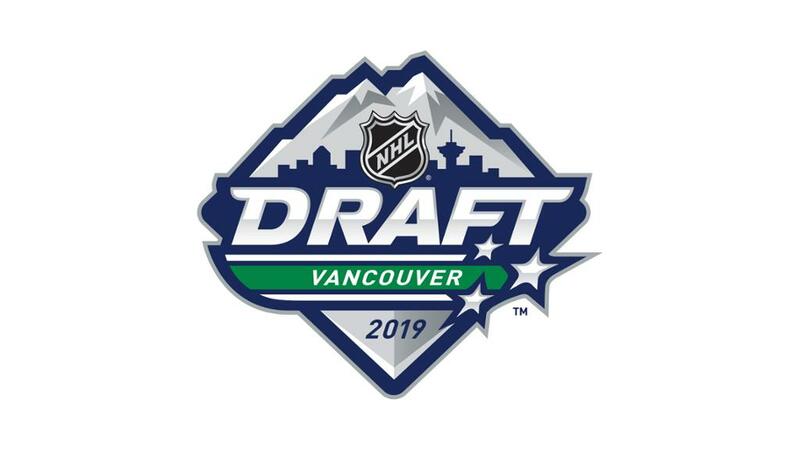 Some of the draft eligible CHL players are in that game – Cozens, Dach, Byram, Krebs, Leason, Kalliev, Lavioie, Suzuki, and some others. There were 2018 draftees playing too but it’s a pretty good viewing for getting a feel for some players you may not have seen play. It’s only CHL players though – so you won’t see any USNDPT or European players. Actually – here is the youtube link to the 2019 Cherry/Orr CHL prospects game. Kotkaneimi was picked 3rd last season and mostly every scout said he wouldn’t play for 2 or 3 years in Nhl, you listening Wall. He had a very good rookie season with Habs playing all year in Nhl from camp. So saying its cut and dried only Hughes and Kakko make it may not be a sure thing. Not saying thats what you meant EB. Saskatoon, Dachs team eliminated last night. In game 3 down 2 0 in games, Dach scored only goal in 1 0 win and was best player on ice. Last 3 games he had one assist and was 23 for 53 43.4% on faceoffs. Kinda describes his season one game he seems dominant, next time you watch him you have watch for his number to notice him out there. This is chance to get a really high skill big guy in a while so that may make a difference. Like the idea of Cozens but only if they feel after checking it out thoroughly that Podkolzins off ice issues are too risky or are convinced through their own scouting he isn’t best player. Hate to leave what could be future superstar on the table uneceesarily, but quite sure their decision on him will be the correct one. Ian, I hope so. It would be great to have the #3 pick come online with the Hawks next season – the proviso being that they are ready for it and not just shoved in there. Even if it means Cozens plays wing for a season as he gets comfortable in the NHL before moving to center in 2020/21 – I would love for the #3 pick to get to the Hawks sooner than later. The same thing with Boqvist – if he shows in training camp and preseason games that he is so good offensively that he should make the team – then let him make the team – the proviso for that being that Hawks management assesses Boqvist is strong enough mentally to handle some lumps early on in his NHL career. I have nothing against Turcotte. He’ll make a fine NHL player. I just prefer Cozens…and the trade for Brandon Lemieux. Watching Toronto and Boston play over the weekend, I know Kahun, Sikura, Kampf, Kruger and Forsling would be on stretchers. The hitting was intense and you could see Boston just wear down Toronto. Marner, Tavares, Marleau had little room to dangle and set up plays. I wonder how Stan views this roster related to these types of games. I’m hoping Cozens or Pod are the choices. Who knows, the Rangers could pass on Kaako. Was just looking at past history and Hawks took Skille before Kopitar or Oshie. Eeeesh. Nothing against 15 but I like 17 as the center for 2nd line better. More upside and chemistry with De bob lee swagger cat. Panarin/15 or 12/17. Both are good. These guys now have the higher upside and some elc yrs. Forget cap hits these are both two sets of dang good players. Would rather have the 12/17 combo for 5 or more coming yrs though. Indian, we were a few players away from 8/8 full roster and quality deep and 19 88 only had 2 good prime yrs left. Sure. 19 88 have more then 5 good yrs left, whether people believe it or not, maybe not prime yrs but good yrs. We are more then a few good player from being 8/8 but not that much more. We simply need to add what we need to ufas/trade wise but its the young wave of players that will get us deep, quality deep and I think the good young wave of blue chip players are closer then people think to. Going to be sweet when the young wave just keeps getting better each yr and we have a deep roster every yr along the way. Miro, I with you on not taking Turcotte but not on trading for a gamble. There is a lot of wishful thinking that the Rangers will pass on Kaako. The sooner you get that out of your mind, the better. There is a small talent gap between him and Pod, but Pod is a riskier pick, even if he commits to the NHL this coming season. The gap widens between Kaako and the rest of the pack. If the Blackhawks pass on Pod, they need to decide whether any of the others are a small reach at #3. Byram probably isn’t, but I doubt they go back to the well for a high D pick. Interesting that Central Scouting has moved Bryam to #2 for North America in their final rankings. I am confused about the preference for a forward on this blog from the majority of posts. A forward (playing behind Toews and Kane) won’t help in the short term as much as a solid #1 d-man. You’re talking 15-18 minutes tops for a forward versus 25 minutes for a #1 d-man. The #1 d-man will be on the PK and on the ice in the last minute of tight games. Much more impact especially for a team that has no d-man close to a true #1. BTW…If you think Boqvist will be on the PK and on the ice in the last minute of a game you’re crazy. Byram won’t be NHL ready, at least to be a top pairing defenseman right away. He’s not Rasmussen Dahlin or Hedman. Not saying Boqvist will be Erik Karlsson but he was known only for his offense and haw turned into being a serviceable dman on the pk. So saying Boqvist will never get there is a bit absurd. I like Turcotte a lot, better than Dach in fact, but I think Cozens or Podkolzin should be the pick. That all depends on what they find out about Podkolzins willingness to come to the NHL. Byram would make us have an embarrassment of riches on the backend which wouldn’t be a bad thing, but we are definitely in need of forwards more. It seems a bit irrational to take a dman, it’d be a different story if there were no Cozens or Podkolzin available, but Byram will not have that much more of an impact than Cozens or Podkolzin. Agree with BLS2 that there is a strong argument to take Byram. We are deep in offensive prospects on defence, but none of them right now project as a true #1 (Joki actually has the most complete game, but so far does not project as elite although I think he will be solid for years to come). Obviously that would mean moving assets like Gus and Mitchell and any or all of 2,5, and 7 in order to get some help at forward. Who knows, but the need for a stud defender is just as high as the need at wing or centre. Ian, I think same we wont pick Podloz if were not sure. So we pick him I think its fine. It is our only top 3-6 pick in last 12 yrs and prob next 8 or 9 so we want Elite. The biggest positional need for the Hawks is top-pairing d-man, then top end center then winger. If Stan and Mark Kelly are convinced Byram will be a top-pairing d-man within a couple years – then they should take him. One of the draft analysis guys I trust is Bill Placzek (wiz) and he doesn’t think Byram can reach top-pairing – he thinks he’s more of a 3-4 guy. But there are other analysts that think he could be a top-pairing guy … so … I guess we hope Stan and Kelly get it right. Good thing our people/scouts are better then most, most media analysts . The beauty of 3rd pick is we have first selection of 1st line center with size, top pair D guy or 1st line RW/LW player. What is harder to get in ufas/trades in summer, a 1st line center, top pair D guy or 1st line RW/LW player. That could make a difference. Listened to Craig Buttons talking about the Blackhawks draft tonight. First he made it clear he thought Podkolzin would be who the Blackhawks picked. He said he didn’t no about when he would come over but that firmly believes he is 100% committed to Nhl. Also stated there almost no chance Hughes and Kappo won’t go 1 and 2 but with Podkolzin its more like a big 3. But doesn”t see anybody else ready to do more than survice in Nhl next season, likely won’t play. Blackhawks to take him. Saying he wasn’t convinced they had a number one defenseman in the system, even though they do have some top pair candidates but said Byram wouldn’t be ready next season but the year after is a real possibility but wasn’t saying definitely. He also said that maybe with the number of defensemen coming that to avoid making the mistake Detroit did by bringing in too many young at once they may not take him. Also saying if they continue to stockpile defensmen it would be a long rebuild as they would develop defensemen to trade them for assets, without addressing fwd needs and not fit 19 and 88 timeline. He said any of 4 centers could go at no. 3 and built a case for Zegras but i didn’t get the feeling he thought he really would. In short he predicts Pidkolzin but really selling Byram. Thanks, folks, for all of the comments re: my question. Not everyone is in agreement, but there is good conversation about what just might happen. Also like the renewed talk about taking a D-man with the pick rather than a forward. Hopefully there’s a lot of ongoing thinking that takes into account what is happening in the current playoffs and who just might be available outside of the draft come season’s end. Ian thanks for Craig Buttons recap. Really trust what he says. He’s been right on most things before. Can’t wait for the draft in June. Watching Cale Makar play right now really makes me believe smaller pmds can be very effective. I’m watching Makar’s debut too – switching back and forth between NSH/DAL and COL/CAL. Makar doesn’t look small to me but he sure looks fast. He has long powerful strides. Ian – thanks for passing on Button’s comments. I am confident that SB will take the most talented player regardless of position. A year ago after a tough year he selected Boquist when it would have been easier to take Bouchard or Wahlstrom. After a poor start this year he traded a player with more proven success (Schmalz) for Strome and Perlini. Both of these moves took some guts when things weren’t going well so I don’t see him bailing out for a safe pick this year. The ultimate pick will be exciting for the future but there will also be many other moves this summer. I expect at least five roster spots to change before October. One or two from free agency and the others from trades or other changes. SB is going to be one busy dude over the next few months. What position do you think is an easier to get ufas/trade in summer. 1st line center with size or top pair D guy. Could say top 6 FW or top 3/4 D guy. Based on most of whats posted here and reports from Button and others, seems like Podloz/Cozens ahead of Byram. Great comments by all. Byram would probably become the best D in the pipeline. My guess is that Stan wants someone who will be ready to start in 20/21 because of the timeline to get T&K major help. D takes longer to develop than O, so I think Stan goes with either Pod (if he commits to the NHL) or one of the Cs. Boq still needs to learn to defend. Best you can hope for is the second half of the season. Several holes to be filled. Must not miss with our first pick. COL brought in Makar tonight, yet another great piece (scored right away) helping to Make (pun intended) them a very deep team.